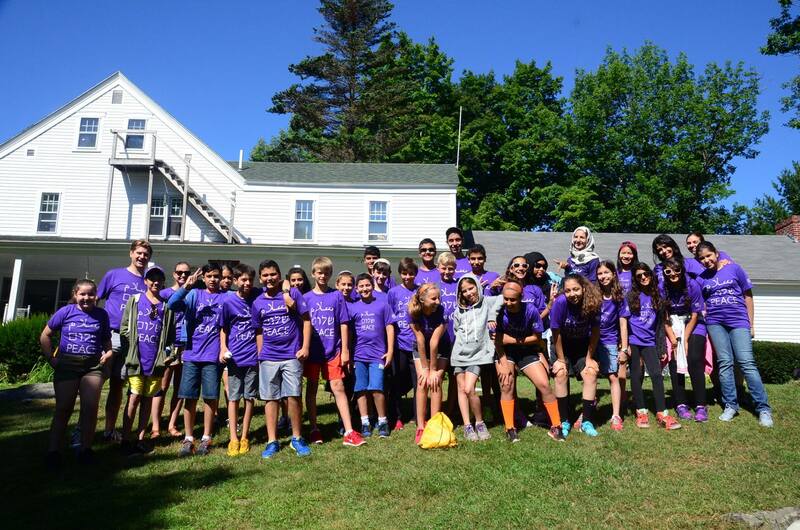 It was another incredible day at Kids4Peace Camp – busy and full of meaning and FUN! We woke up happy and full of energy. The boys even got ready fast enough to play soccer before breakfast. It is amazing to see everyone engaging together, taking risks and sharing stories, listening intently to others, and just laughing and enjoying camp with new friends. It seems like there’s no limit to how much we can learn about each other and each other’s cultures while having so much fun! Anyway, this day was another really full one! After breakfast, we went to a photojournalism workshop called “Naming the World: Challenging the Single Story” led by Sheya who helped us think about what we see when we look at an image and how we can see images (and people!) as more than just one simple story. In the second half of the workshop, we even had the chance to go out and capture this place and our community with our own cameras. We couldn’t swim in the lake today, but no worries, these awesome counselors created a water relay in our backyard full of all kinds of games in which everyone got soaked and cooled off. After drying off, we went to the third part in our religious observations: a Sunday Christian service led by our group’s Christians and Reverend Thomas Brown. As always, we concluded with time for questions and reflections.